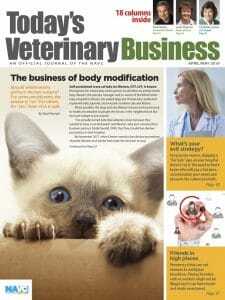 90 percent of U.S. veterinary practices are customers. The Covetrus management team celebrates the start of Nasdaq trading. 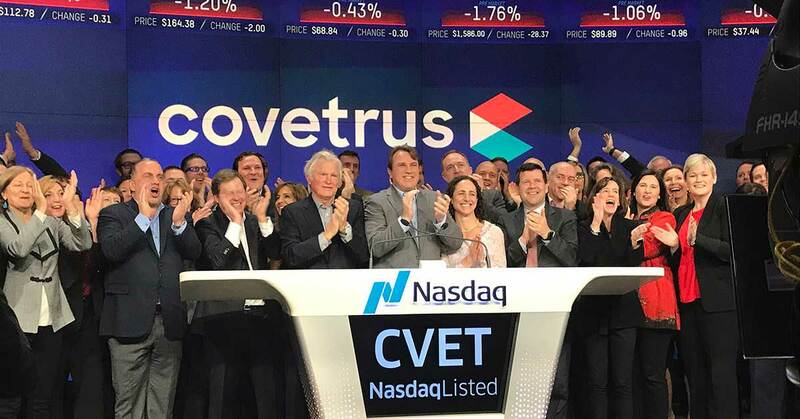 Covetrus, formed in the merger of Henry Schein Animal Health and Vets First Choice, began regular trading Feb. 8 on the Nasdaq Stock Market. The new public company does business with 90 percent of U.S. veterinary practices, acting as a distributor and provider of veterinary products and services. Henry Schein Animal Health and Vets First Choice combined for $4 billion in global revenue in 2018. The company is headquartered in Portland, Maine. Employs 5,000 people worldwide, including 1,200 sales representatives. Serves 100,000 customers in 100 countries. Has 16,000 practice information management system (PIMS) customers in North America. Is looking to Brazil and China for further growth. Covetrus stock, using the symbol CVET, traded for $41.01 at the closing bell Feb. 8, down 4.7 percent.